Cloud computing technology provides virtual services based on subscriptions with an associated cost that is accessible to its users from anywhere, wherever they are. Technology brings many different benefits to companies as well as to the public by reducing the time and resources for them which would be needed for establishing and operating their own Information Technology infrastructure. The main aim in this study is to identify significant decision criteria that are relevant to the cloud computing technology selection problem among ‘Infrastructure as a Service’ cloud providers, to provide an effective framework to evaluate and select the most appropriate ‘Infrastructure as a Service’ providers and also to apply the proposed approach through an empirical study. Technology selection essentially is a difficult multi-criteria problem that deals with both quantitative and qualitative parameters, which are usually conflicting and uncertain. 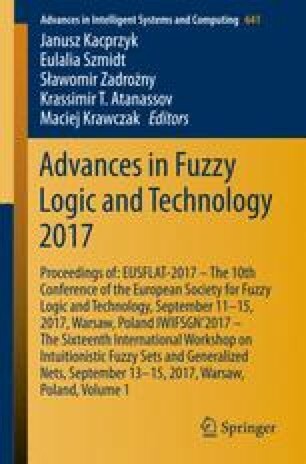 Interval valued intuitionistic fuzzy set is a powerful method to cope with uncertainty by taking both degree of membership and non-membership function in an interval. A multi-criteria approach based on the combination of interval valued intuitionistic fuzzy set theory and complex proportional assessment is proposed to deal with cloud computing technology selection problem in uncertain and ambiguous environment. Finally, in order to illustrate the procedure thoroughly, an application of the proposed approach is considered. The authors are grateful to the industrial experts who shared their evaluations for the case study. This research is financially supported by Galatasaray University Research Fund (Projects No: 16.402.004 and 17.402.009).